Our auto detailing specialists are offering you an all-inclusive package at the best price! Take advantage of this offer before May 31, 2019! *Taxes are extra. Valid until May 31, 2019. Conditions apply. 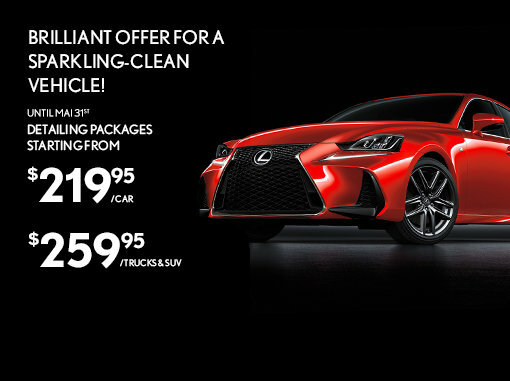 Contact Spinelli Lexus for more details.